Herein lies a fundamental problem with video game reviews: while the scores Battlefield V has been assigned add up to around 80 (as high as 82 on PC, as low as 74 on PlayStation 4), the actual critique makes for more negative reading. This is perhaps best shown in the opening of Martin Robinson's review on our sister site Eurogamer, where the game misses out on a 'Recommended' or 'Essential' rating, but dodges the 'Avoid' warning. "Battlefield V is a mess," Robinson writes. "It's the glitchiest, most technically troubled DICE's sandbox multiplayer has been since the infamous launch of Battlefield 4, and even the launch itself is all over the place." The last comment refers to Electronic Arts' decision to stagger the launch for different users, with EA Access subscribers, pre-order customers and regular punters each receiving the game in different weeks. Additionally, the much hyped Tides of War mode does not get added until December, while DICE's take on battle royale - the zeitgeist game mode that proved to be a hit for rival Call of Duty - doesn't even arrive until March. "Battlefield V is a mess... the glitchiest, most technically troubled DICE's sandbox multiplayer has been since Battlefield 4, and even the launch itself is all over the place"
While publishers have told GamesIndustry.biz a staggered release date has proven to be beneficial to their bottom line, it appears this does not serve the actual product quite as well. Says Robinson: "Such omissions and scarcity of features is all collateral from EA's move from its older business model towards free, regular updates, though Battlefield V feels so incomplete at launch as it veers away from the dreaded season pass at times it feels more like an Early Access title. Small wonder the sense of anticipation around this one has been particularly muted." Game Informer's Matt Bertz agrees, writing in his 8/10 review: "Battlefield V is a hard game to critique at this stage. Many of the minor tweaks improve the overall gameplay, which is still fun. But the majority of the innovations have yet to arrive, and new systems like the Company and Armory still need to be fleshed out. "This game's legacy won't stand on the content currently in the game. Ultimately, Battlefield V will be defined by the success or failure of the pending Combined Arms cooperative mode, Firestorm battle royale mode, and whether or not DICE can continually provide new and engaging content. On day one, the game feels a few reinforcements short to pull off the overwhelming victory we've come to expect given the series' strong lineage." It's a shame because, as Robinson notes, "the game it's crafted beneath all that chaos is frequently fantastic" - something most critics agree on. DICE is praised for everything from its audio and visual design to the layout of its six starting multiplayer maps. "In the thick of a firefight, with planes screaming overhead, tanks trundling by, and sniper scopes glinting in the distance, Battlefield V can be exhilarating," PC Gamer's Andy Kelly writes in his 79/100 review. "And the dense, detailed maps only add to the turmoil, particularly the post-apocalyptic Devastation, which is set among the shattered ruins of a bombed-out Rotterdam. With 64 players fighting together, few multiplayer games are this frenzied. And a welcome return to World War II brings back fond memories of the first wave of Battlefield games." "On day one, the game feels a few reinforcements short to pull off the overwhelming victory we've come to expect given the series' strong lineage"
Bertz adds: "No matter whether you are attacking or defending, you can count on a gorgeous backdrop... The weather effects add to the sense of mood; as the wind picks up in the harsher climate, visibility becomes impaired and forces teams to adjust their tactics... The destructibility is turned back up to impressive levels we haven't seen since the Bad Company games; tanks can roll right through buildings, and most cover can be obliterated with a well-placed rocket." In his own opening, Bertz describes Battlefield V as "the safest, most calculated release in the franchise's history", noting that DICE have opted against making any significant changes to the gameplay. Instead, it has honed the series' formula for large-scale warfare with a particular focus on fan-requested improvements. There are some exceptions, with Kelly reporting issues with the new locomotion system: "While the flow of the action in BFV is almost identical to the last few games, character movement has been altered to feel more physical-and I'm not a fan. "This is most notable in the laboured, disorientating animations that play when entering/exiting vehicles. Previously you'd just appear in a vehicle, which was a little illusion-shattering, but basically fine. Now, though, you have to watch as your guy slowly, painfully climbs in or out, with the camera flipping all over the place. I get what they're going for, trying to make you feel more connected to the world, but it just isn't as fluid as it should be." Critics praised the increased focus on teamplay in multiplayer modes, and note that Grand Operations - an expanded version of the usual Operations - seems to be the standout mode thus far, with its multi-stage battles that shift in focus as the battle progresses. "In the thick of a firefight, with planes screaming overhead, tanks trundling by, and sniper scopes glinting in the distance, Battlefield V can be exhilarating"
Also praised was the new ability to fortify your position with sandbags, barbed wire, makeshift cover and even weapon placements. "Not only does this open the game up for more tactical play, it also solves the issue of Battlefield's maps becoming flat and coverless as the battles rage on," writes VG247's Kirk McKeand. "It's another smart design tweak to an established formula." Opinion is somewhat more mixed over the War Stories mode, a trio of two-hour campaigns that form the single-player portion of Battlefield V. Seeking to tell the untold stories of World War II's unsung heroes - yes, including that woman EA dared to put on the cover - the missions certainly won over McKeand. "The Battlefield games have never been worth buying for the single-player alone, but this is the best it's been since Bad Company 2," he writes. "It takes the strengths of the multiplayer - the open areas, the freedom of approach, the vehicles - and applies them to its campaign." In his 9/10 review for PCGamesN, James McMahon writes: "Battlefield V is absolutely horrifying... [and] it's actually meant as a great compliment - a game about World War II should be. 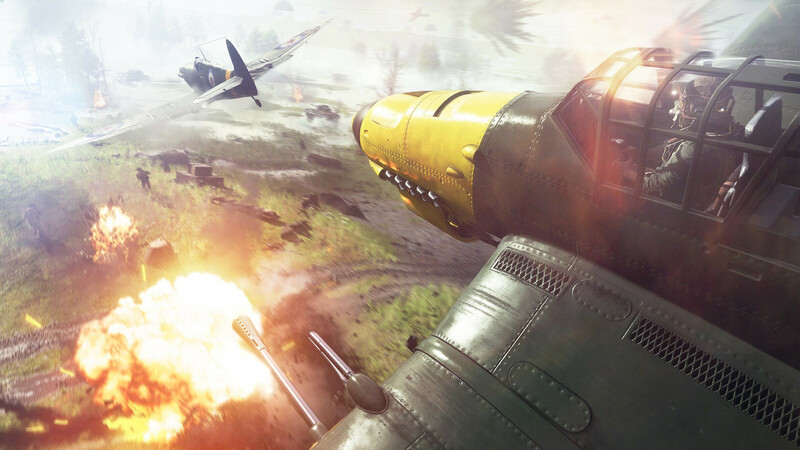 And Battlefield V is unquestionably the most tense, emotional shooter I've ever played." He details how War Stories not only puts a heroine in the spotlight, but also explores the racism another of its heroes faced - even from the army he was fighting for. "It is, of course, impossible to quantify the good that will result from the studio's admirable attempts to add something significant to the imbalance of representation within games," McMahon continues. "But it's nice to think that a woman, or a person of colour, will play Battlefield V and feel that their culture, and the sacrifice of their culture, has been acknowledged. "If you turn off your brain, there's a solid shooter underneath it all. 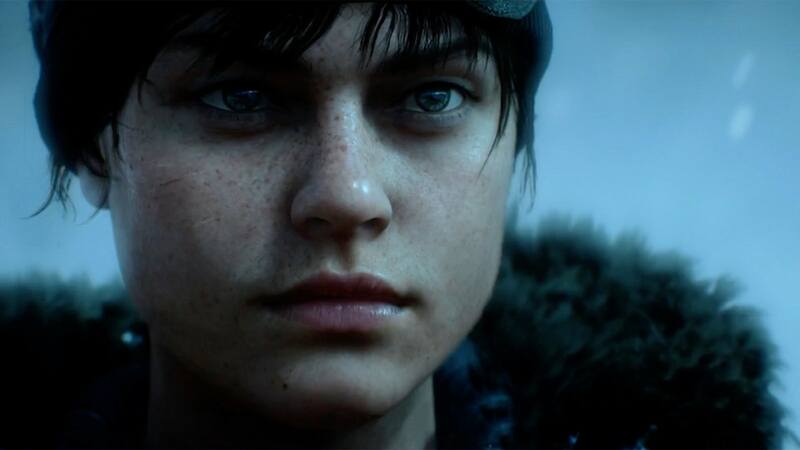 I'd even go as far as to say it's the best shooter of 2018"
He concludes: "Yet even if you don't care that Battlefield V is a game that's trying to do good, it's worth stating that far from imbuing the game with a liberal agenda, DICE is simply using the backdrop of the world's greatest conflict as a canvas to paint human stories upon. Cleverly written, far flung, cinematically depicted stories. "At a time when its biggest competitor has dropped single player altogether, DICE shows that the campaign format is a powerful way to give players the unexpected. Other games may be a buffet, inviting you to gorge on what you know you like; Battlefield is a set menu that introduces you to flavours you didn't know you'd enjoy." However, others saw War Stories as a source of the game's biggest letdown: tonal problems as DICE lurches between that authentic look at the horrors of war and a mix of options and player agency that enable some immersion-shattering moments. "Battlefield V opens with a solemn prologue in which you play as a series of doomed soldiers dying in increasingly horrible ways," Kelly explains. "Its intent, I presume, is to evoke the futility and horror of war. But it feels out of place in a game where you can wear a Union Jack gas mask, jump out of a plane in mid-air, land on your feet, then whack a Nazi over the head with a cricket bat. "Developer DICE can't seem to decide if war is hell, or just cool as hell, which creates some wild tonal dissonance." McKeand agrees, noting: "Battlefield V wants to put you in the muddied boots of a WW2 grunt, but it also wants you to have fun. I'm not saying 'fun' isn't a valid goal in game development, but I doubt any of the soldiers who fought in WW2 would describe their experience as a jolly old time. So, by its nature, Battlefield V is a game at war with itself. "The moment to moment play is solid - much more tactical and thoughtful than the competition - but the setting comes across tasteless... But if you turn off your brain, there's a solid shooter underneath it all. I'd even go as far as to say it's the best shooter of 2018." There were numerous comparisons to past Battlefields - particularly the more outlandish Bad Company 2 - but critics all reiterate that this new shooter is only a fraction of the game it will become within the next six months. Robinson concludes: "It's too slim, and too spotty, to recommend diving in this early. The foundations are in place, though, for something truly special." One needs to think about the players. As cliché as it may sound, it's your reputation what will bring sales. A lot of people (me included) preordered Red Dead Redeption 2 without even checking a single online video or trailer. I know that the game is going to be good; I trust Rockstar on that. I'm absolutely sure that this is going to boost sales a lot more in the middle term than a staggered release.